Head and neck cancers are a group of cancers that comprise of cancers originating from the base of the skull until the esophagus. It comprises the lips, oral cavity (including the tongue), nasal and sinus cavities, the throat, larynx. When these cancers involve the brain, they will also require the expertise of a neurologist. Squamous cell cancers make up 90% of all head and neck cancers. These originate from the epithelial lining of the affected areas. Head and neck cancers spread to lymph nodes at the neck areas first. Enlarged lymph nodes may thus be the first signs that patients notice. ‘Actually, many do not know that head and neck cancers can be treated successfully if they are operated upon at an early stage. 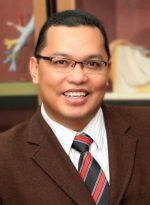 Even though 100% cure may not be possible, we are often able to prolong or at the very least, enhance the patient’s quality of life’ said Dr Mohd Razif Mohamad Yunus, Consultant ENT, Head and Neck Surgeon of Oriental Melaka Straits Medical Centre. The main risk factors of head and neck cancers are smoking, consumption of alcoholic beverages, chewing of betel nuts, ingestion of gambir as well as several types of viruses such as the human papilloma virus (HPV). Males are more often affected than females with global figures placing head and neck cancers as the third most common cancer found in men. This figure continues to rise year by year. How serious can such cancers be? According to Dr Mohd Razif, this would very much depend on the stage of the cancer upon diagnosis. Hence, the earlier it is found, the better the chance for recovery. According to Dr Mohd Razif, head and neck cancers are generally easier to detect. Once a diagnosis of cancer is suspected, the patient will undergo an endoscopic examination of the affected area. If abnormal tissue is seen, an MRI (Magnetic Resonance Imaging) or CT scan is often required. According to Dr Mohd Razif, treatment options would depend upon the severity staging of the cancer. For some, only surgery is required. For others, radiotherapy followed by surgery or in certain cases, just radiotherapy alone. There are also those who need all available options including surgery, radiotherapy and chemotherapy. Patients who are in the early cancer stages (one or two) have higher hopes for recovery therefore surgical removal of the tumour becomes an option. The surgery itself may take 12 to 24 hours depending on the complexity. If the patient is otherwise healthy and no other complications occur, the recovery process maybe short and life can begin again. In worst case scenarios where there is stage four cancer (cancer cells have spread throughout the body) palliative care will be provided to enhance comfort, reduce pain and ease suffering.